Since the 1960s, a massive shift in consciousness has brought sweeping changes to society. Wouldn’t we all like to know where this is heading? And, what will tomorrow’s world look like? The answer emerged as long ago as the 1960s, when a pioneering social scientist called Clare Graves was studying the phases of conscious evolution that society has gone through over the ages. His studies led him to declare that humankind is preparing for what he called a momentous leap – a mega-change within society which would dwarf all previous changes, because it would open up a whole new tier of evolutionary changes. In 2005, I published a book called The Shift: The Revolution in Human Consciousness which pointed out that these stages of social evolution agree perfectly with the human chakra system. The key to matching these two systems lay in pointing out the little-known fact that there are two phases to each of the major chakras – a yin and a yang phase. The yin phase is where people begin to explore the new frequency of consciousness and the expanded worldview which it offers. Then, they graduate to the yang phase, where they master the new chakra and use their new ability to create effective action which changes their world for the better. For example, society spent much of the 20th century mastering the solar plexus chakra. This resulted in the development of intellect, along with science, technology, and all the wonderful gadgets that we enjoy today. In the late 20th century, it became more and more obvious that many people were taking the next step and developing heart-centered consciousness. The activation of the heart chakra brings an awareness that the good of the many is an important concern and that cooperation can produce more for everyone than competition ever did. Heart-centered consciousness brings an expanded worldview where issues like sustainability, human rights, and the freedom to develop your own potential come to the fore. These issues simply don’t exist in the solar plexus world of ambitious intellect. But, in a heart-centered world, they become very much a part of the landscape. What happens, you might ask, when many more people take this even a step further and move from the yin or introductory phase into the yang phase of the heart chakra? Then, they will master this new, expanded level of consciousness. The active or yang phase of heart-centered consciousness is where unconditional love begins to flow through the person. At first, it may seem like a mystery where these higher sentiments are coming from, but eventually the awakening person realizes that this is simply the nature of the universe. If this sounds like a spiritual awakening, that’s because it is. The higher aspect of the heart chakra is the launching pad for an appreciation of the spiritual nature that exists behind all physical manifestation. Despite what you were taught as a child, this is not a hostile universe. It is benign through and through. The sense of unconditional love that you feel as you settle into heart-centered consciousness is not generated by wishful thinking… you are sensing the energy that forms the very fabric of the universe! Belligerence is a man-made illusion. It is a divergence from the true nature of the universe. The universe is essentially a loving and supportive place. We just have to channel that feeling of unconditional love into our lives and the world will change beyond recognition. You can take an active, leading part in The Shift. Develop your heart chakra by knowing that this is the destiny of humanity, that the universe is benign, and that you can tap into its endless supply of unconditional love. Allow yourself to be filled with this infinite supply of love and then become more deeply aware of your own unique role in changing today’s world for the better. The more you become accustomed to heart-centered awareness, the more you become one of the True Hearts who, right now, at this very moment, are pioneering a New Reality on Planet Earth. This entry was posted in Metaphysics, Owen K Waters, Spiritual Dynamics on November 19, 2016 by Owen K Waters. With spiritual faith, your heart and mind open up and guide you in your search for personal truth. Faith in the spirituality of life is what makes your spiritual path possible. Faith may sound like a form of belief, but belief is actually a fixation upon a version of the truth. When a belief becomes rigid, seeking and growth are not possible. For example, the biggest challenge facing quantum physics today is the enormous shift that is required from previous beliefs about the nature of reality. Researchers have to shift to a new view where time, space and physicality are liberated from the constraints which people previously believed that they had. If you believe that you exist in a fixed location in space and that time must always pass you by like clockwork, think again. Subatomic particles do not share your beliefs about time and space. They take a much more liberated view. Subatomic particles pop in and out of physical manifestation millions of times per second, just when and where they feel like it. Their disregard for time is perplexing, to say the least, as they respond immediately to events in their future and even time travel backwards to alter their past when it suits them. Now, we can all identify with the idea of creating a different future based on decisions that we make now, but creating a different past? Well, that’s what subatomic particles do, right there in the lab. As a result, in the mathematics of quantum physics today, one of the necessary tools is negative time – the ability of a particle to send a message into its past in order to change its own history. Subatomic particles are friendly by nature. When they bump into another particle that they take a liking to, and they seem to like all of them, they become friends and carry on communicating with each other, for ever. The fact that they may become separated by millions of miles does not reduce their willingness to communicate. The speed of their communications comes as a surprise. Einstein said that nothing exceeds the speed of light, but apparently subatomic particles weren’t listening when he said that. They communicate over huge distances virtually instantly. If there is a limit to the speed of transmitted thought, then that speed of thought has to be millions of times faster than the speed of light. Subatomic particles, by their very freedom, serve to remind us of our true potential as conscious beings in a conscious universe. We are limited only by our personal collection of beliefs, our belief system. We also share our part of a larger, societal belief system, the consensus reality. Faith in the spirituality of life is what makes your spiritual path possible. With spiritual faith – an open heart and an open mind – we can discover more about today’s New Reality and what it means to humanity. Discovering more about life expands our view of reality and evolves our belief systems. Besides, and this is what really counts, it’s fun! This entry was posted in Owen K Waters, Spiritual Dynamics, Spiritual Metaphysics on November 18, 2016 by Owen K Waters. The Shift is the mass migration of humanity into the second tier of consciousness. This is where basic values transform into spiritual values, where caring hearts blossom forth into action to help humanity in ways that represent their personal, highest joy. Millions of pioneering trail-blazers have already made it through The Shift and into the new awareness. Every day, more people follow their example. The New Reality presents a newly emerging type of humanity. This vanguard of unconditional love and renewed hope holds the seeds of a culture where ‘quality of life’ replaces ‘standard of living’ and ‘you-and-me’ cooperation replaces ‘you-versus-me’ competition. The world is transforming; destiny is calling. 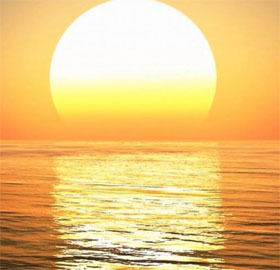 Together we are witnessing the dawning of the New Reality as it rises in all of its glory, like the Sun rising at the dawn of a bright, new day. The New Reality is both heartfelt and heart-powered. It’s about people who care. But people can only awaken to their new, expanded potential when they realize that this potential exists. Tell your friends that the world is shifting to a new reality and that it is destined to become a truly beautiful place. To step forward into New Reality consciousness means to experience new vistas of awareness and new levels of creativity. It means following your heart to express your inner joy through making your own meaningful contribution towards the betterment of the world. It truly is a great time to be alive! This entry was posted in Metaphysics, Owen K Waters, Spiritual Dynamics, Spiritual Metaphysics on November 16, 2016 by Owen K Waters. Here are just some of the deep insights revealed in The Shift: The Revolution in Human Consciousness (Updated Edition). How the Shift to heart-centered consciousness now includes more than one in four adults – up from one in fifty just decades ago! The metaphysical principles behind this momentous transformation in consciousness. The exact nature of the gateway to spiritual consciousness. How the effect of your spiritual practices brings unsuspected healing and balance to millions of people! The nature of the coming tipping point in mass awareness. How your own changes in tastes and preferences are shared by others far more than you might realize. Why, even when things get chaotic, you’re on the verge of a beautiful new pattern in your life. All about the tools to empower you through today’s dynamic phase of The Shift. How social science validates the principles of the human chakra system. The spectrum of human development – from caveman to cosmic consciousness – and how to best move ahead in your own spiritual development. The significance of the transformational gateway that occurred in 2012 and how it affects your future. The hidden secret that ties the chakras in with the observations of modern-day science. The exact resonant frequencies of each of the major chakras. Exactly how the Hundredth Monkey Effect works. The key principles of the emerging New Reality. A glimpse into the future world of higher consciousness. The true nature of inspired wisdom from within. How to unleash your true potential to create good things in your life. This entry was posted in Metaphysics, Owen K Waters, Spiritual Dynamics, Spiritual Metaphysics on November 12, 2016 by Owen K Waters. What Is The New Awareness? Where Were You 14 Billion Years Ago? Are You a Cultural Creative?